← It’s not what we do, it’s who we are. I really appreciate your humble and down to earth view. I cannot wait for your next post! Thank you. Over my career, I was a burn nurse, ER nurse and trauma coordinator. As trauma cooridinator, I renenber making surgical rounds with the trauma surgeons. 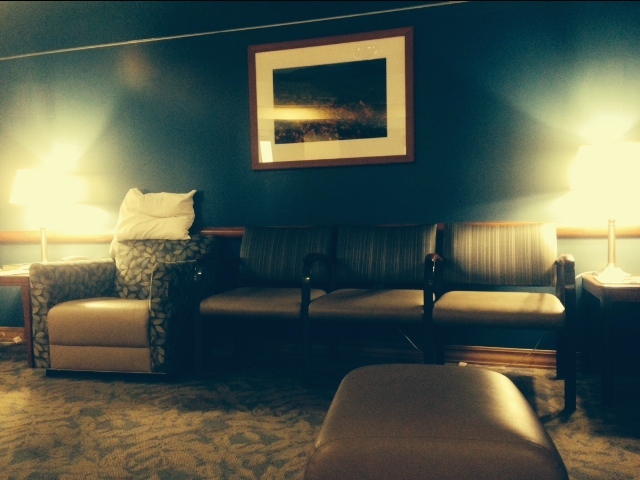 The Icu waiting room was always dreadful. You walked in in the am and all eyes were on you, hoping you were the person that was going to give good information to a family. But there was always only one family that got news, good or bad . It always broke my heart that I couldn’t share information with more families.i would cry when I would leave that sad room.may God give them peace and comfort and may someone else share good news with them. It was unfortunately for me to do. I love your writings..I work in the Psych ER and am hoping you will write reflections on working in that area. As an ICU nurse who was stuck in that waiting room more than once with my family members, it was harder than working a double shift. I used to spend the time explaining things to other family members that they just didn’t quite understand. (I am also a teacher.) Somehow my nurse ears would pick up a question one of them asked and in order to calm my mind, I would strike up a conversation and assure them that I wasn’t eavesdropping. I just couldn’t help but hear the question. It was calming for me and for those family members I explained things. Now that my mom is gone, I remember those days fondly. I am actually so very grateful I was NOT there when her heart stopped beating. I don’t need that memory when I walk into my rooms. A patient’s father once said to me how many hospitals he passed on the highways in the course of traveling across the state for work. Now he realized all those hospitals held ICUs and each ICU had multiple rooms with someone sitting next to a bed, waiting. It can be overwhelming to think about. Best to do your best and be kind in whatever corner of this life we find ourselves. But, thanks for recognizing us. I’m a CTICU nurse, and man, does this resonate. Thank you for the work you do; thank you for penning these thoughts; and thank you for such a tremendous compliment. I am a fan now. You’re writing is beautiful, raw and real. It truly isn’t until you have experienced the “other side of the stretcher” as I call it, that you can be a great nurse. Yes, there are good nurses, but then there are REAL nurses. This is where the line is drawn in the sand. You are a testament to my profession. I can tell that you walk the walk and talk the talk, otherwise you would not be able to write about it so poetically. I am sorry for your loss, but you are a healer and caregiver, an amazing nurse. We need more of you. You just hit the nail on the head. This industry constantly keeps us on our toes, I think that’s why I’m so driven by it. Thanks for such humble insights!